Like the broom and the cauldron, the wand is an iconic symbol of Witches in fairy tales and contemporary culture alike. Used in religious and magical rites dating back to the ancient Egyptians, the wand came into use in Wiccan ritual through the influence of ceremonial magic. Of course, despite all the depictions in popular culture, it is not the wand that causes magical transformation, but the practitioner, who charges the wand with personal power. Like the athame, it is used to direct energy, but in a somewhat more subtle, gentle manner than the swiftly decisive knife. The wand is often used in Wiccan ritual to invoke the Goddess and God, and may be used to draw magical symbols in the air or on the ground. 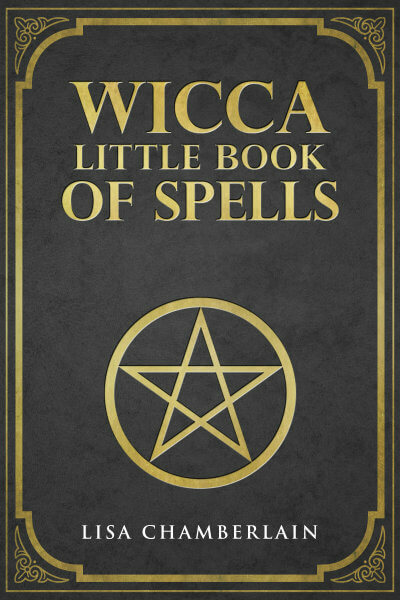 It can also be used to draw the circle within which the ritual or spellwork is performed. Also like the athame, the wand is a linear, projective shape, and so is also sacred to the God. The wand is associated with the element of Air in some traditions, due to its association with trees and because it is often waved in the air. Other traditions associate it with Fire because it is traditionally seen as an agent of transformation. Whether you ascribe the wand to Fire and the athame to Air, or vice versa, will depend on the tradition you’re following. If you’re practicing as a solitary eclectic, then go with what feels correct to you. Wands can be any length under 12 inches or so—about the length of your forearm or shorter— and can be made of various materials. 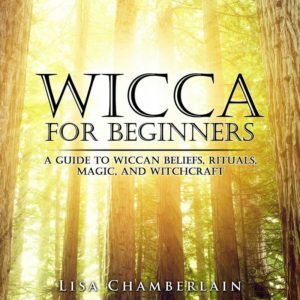 There are some very beautiful wands available at Wiccan or “New Age” shops made from glass or pewter, with ornate carvings and crystal points affixed to the ends, and even short wands made from a narrow length of polished gemstone. However, the wand is traditionally made of wood, especially from oak, hazel, elder, and willow trees, and many Wiccans prefer their wands to be as close to Nature as possible. You can find these more “rustic” wands available for purchase as well, but it’s also a great idea to go out and find your own! If you have access to a wooded area, or even just a tree in your backyard, you can venture out with your sixth sense sharpened and ready to sense just the tree, and just the branch, where your wand is waiting for you. Keep an eye out for fallen branches or twigs on the ground around the tree, as it’s preferable to harvest them that way, rather than cutting into a living tree. If you do feel called to gather a live branch, ask permission from the tree and wait until you feel an affirmative response from your higher self. If this doesn’t happen or you get a negative feeling, move on to a different tree. Use your boline or another knife that you’ve cleansed and consecrated for this purpose. Be sure to thank the tree for sharing its energy with you as you retrieve your new wand. It’s good to bring along a small offering—a pinch of herbs, milk, or honey—to leave at the base of the trunk. If, like many, you don’t have access to much in the way of a grove or a forest, then consider purchasing a wooden dowel from a craft store. These, like branches you find outdoors, may be decorated however you like. You can carve symbols, affix gemstones to the tip, wrap the base in ribbon, or apply stain to darken the color. Many people believe that hand-made wands, made by the person who will be using it, are more powerful than store-bought wands. At the end of the day, however, it’s up to you. So be patient and use your intuition, and the right wand will present itself to you when you are ready.